On New Year’s eve 2015 it is a good time to briefly reflect on what happened in 2015 and what these trends might point towards in 2016. 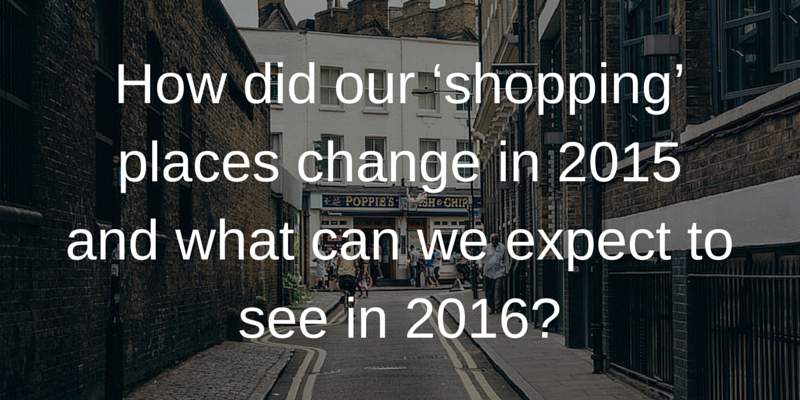 I believe that 2015 has been a positive year in many ways for many high streets, shopping centres and retail parks but sadly not for all. I would, however, say that for the majority they have seen the changes that one has hoped for and many have talked about.